Google Developer Group (GDG) Kimathi University had a very prosperous year and lots of events happening at the time. 2013 was our 1st year in action and we kickstarted it with the Google I/O Extended 2013 Viewing party that has been talked about on this post. 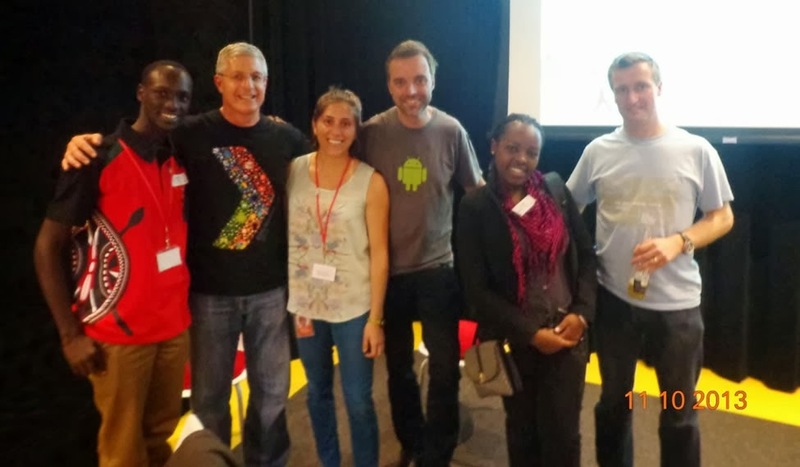 GDG Kimathi University was picked by Google to represent Africa in GDG Europe Summit in London UK. +Mercy Orangi of +GDG Nairobi and +Kenneth Kinyanjui of +GDG Kimathi University represented Kenya amongst +Femi TAIWO of +GDG Lagos (GDG Champion Nigeria), +Oyewale Oyediran of +GDG OAU , +Hiren Patel of +GDG Cape Town and lastly +Ishmael Makitla of +GDG Pretoria. This fine team represented Africa and gained a lot from the sessions, which they all shared at the DevFests, G|Days and Event Recap Meetings. The 2 day Summit , involved technical sessions with the Developer Advocates of various Google Products. The Sessions that we had were on the following Topics. The GDG DevFest Nyeri 2013 was the first of its kind to be seen in Nyeri and Central Kenya, and also the last DevFest in the Devfest Kenya series. The Event was special in that we had 2 GDG Champions in attendance, +Femi TAIWO (GDG Champion Nigeria) and +Said Fuad (GDG Champion Kenya). The event also had +James Odede (GSA Maseno University), +Njeri Chelimo (GDGw Nairobi). Honourary mentions for GDGs +Andrew kyalo (Former Lead GDG JKUAT) and +Dennis Riungu (GDG JKUAT). More on this here. DevFest, to us was all about having fun and appreciating developers, and we did just that. There was plenty of refreshments, and we had some great time to share our experiences. Who said no ladies were part of the Devfest? There were some ladies in the house who really enjoyed themselves. Lastly this GIF just summarizes how the DevFest mode was at the end. A lot of fun and energy! Check out this blog post for more stories about DevFest Nyeri 2013. Our University striked one week before the event, so we moved to Nairobi and did a 48 hour hack for the GCDC. A group of 4 guys, each working on something for the Google Cloud. +Joseph Ndungu working on +Movie Buddy , +arlus ishmael , +Gideon Maina and +Kenneth Kinyanjui working on Iponline. 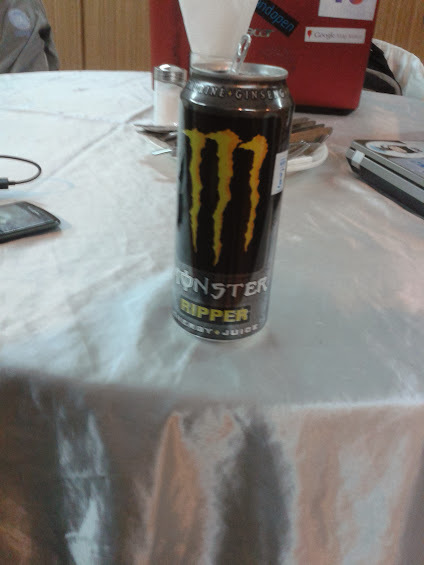 We started out in a small room in Nairobi, working, coding, drinking some Monster Energy ... all through the night. With some good background music, coffee and food ... we were good to go. Morning came, and it was Sunday +GDG Nairobi was having its hackathon, so we moved to the +iHub and joined them for the extension of the hack. What a weekend! I was very tired with the tour, but having had that sense of hacking through and building something using Google Cloud was fullfilling. I almost forgot we had the Eclipse happen at the same weekend and we were able to view it from the iHub. At the end of the submission date, I presented IPONLINE but was not able to get to the semi finals. Better luck next time :) I think +GDG Kimathi University will be more prepared this year, but this was a great lesson. 2013 was great, 2014 is here and looks to be even better and promising. So keep in mind, we will still be here and will come up with the next big thing.